The Bielefeld region was a rich center of industry in the late 19th century, and gave birth to several industrial manufacturers that turned into motorcycle manufacturers. Among them are Durkopp, Goricke, Meister, and Rixe. 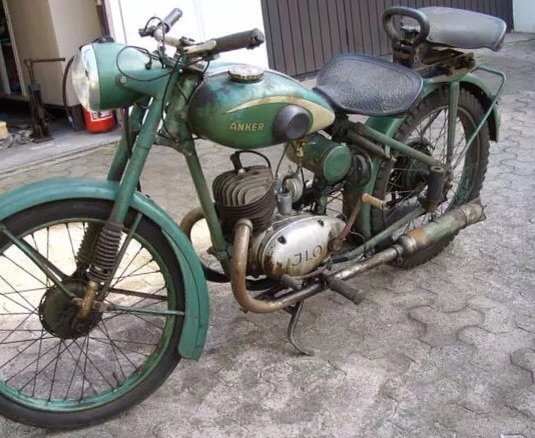 Anker was another, but they had a softer entry into the production of motorcycles. Founded in 1876, they soon added cash registers and bicycles to their sewing machines, and were content with those through both wars. They did produce a motorized bicycle as early as 1902 equipped with a Fafnir engine. Later motorized bicycles were fitted with Fichtel & Sachs engines, but they remained more of an incidental side business. One Anker bicycle innovation that never caught on was the "sickle" fork, so named because of its shape which allowed some suspension travel at the front. Although distinctive, this feature was not deemed solid enough for the suspension needs of a motorcycle. 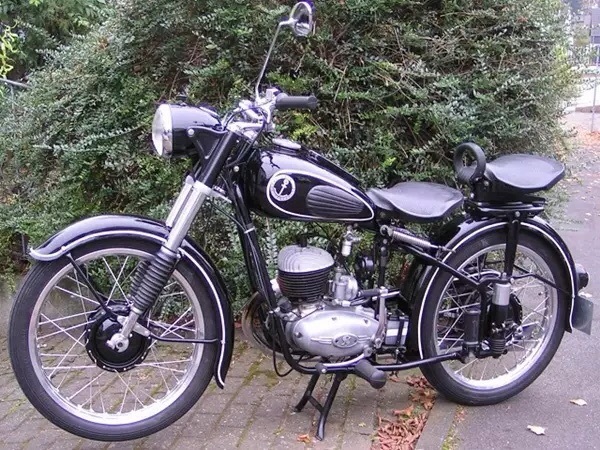 In 1949, they began to produce small displacement motorcycles that were equipped with both Sachs, and JLO engines. The first was a 125, but they quickly added variations from 50 cc to 350cc. Anker machines were solid and reliable, but they were competing in a very crowded space, and struggled to make a profit. Their assets were purchased by PAMAG, a subsidiary of Paderborn in 1952 which continued to produce machines under the Anker brand. PAMAG was in turn purchased by Pantherwerke AG in 1953, and the Anker brand survived on mopeds for a few more years before being retired.